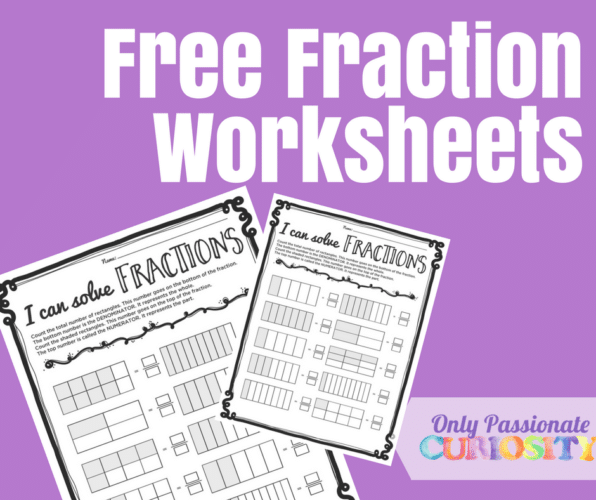 Snag these Free Print-and-Go Fraction Worksheets at Only Passionate Curiosity. This simple pack includes two pages of fraction practice. Your kids can look at the images and write a fraction to match.